BROOKLYN (WABC) -- Cops in Brooklyn were ordered to freeze after accepting the "Mannequin Challenge." 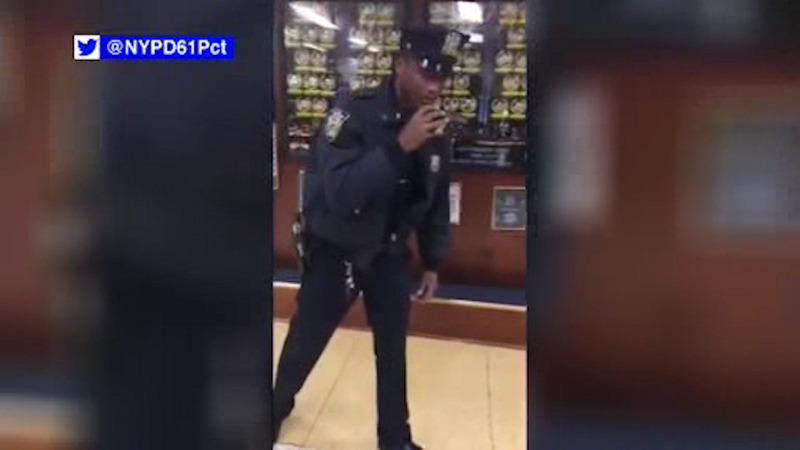 Officers at the 61st precinct went all-out to pull off the popular viral stunt, freezing in place in curious poses while being videotaped. The "Mannequin Challenge" is an internet trend that started recently and is showing no end in popularity.